← Weekly Update: Hey! It’s February already! “Mom? Mom where are you? Dad?” The house was empty. Not only were Joey’s mom and dad missing, but everything was gone. No furniture. No carpets. The walls were stripped of all pictures and posters. The doors were all open and each room showed the same barrenness. He found his way though the house and looked outside. The sun was intensely bright. He had to shield his eyes. The heat was almost unbearable. He ran across the vacant street to the neighbor’s house. The door was open. The house was in the same condition as his own; empty. He checked several houses, running from one to the other. Each time he encountered the same thing. Everyone was gone. Joey stood in the middle of the street and screamed. When he opened his eyes, June was over him, shaking him. June. The woman who smelled like his mother. It was the perfume. It had to be. She wore the same perfume his mother did. He smiled. The bed wasn’t that comfortable so Joey wasn’t too sorry to get out of it. He was even more uncomfortable to see Dexter sitting on the bed across just watching; his three eyes blinking out of time with each other. After using the extremely small, all-stainless-steel bathroom, Joey followed June up to the kitchen. Vic was there. Vic was talking with a robot. It was crude in design consisting of a cylindrical body and head with large protruding eyes. It had arms and legs little thicker than rope, but equipped with oversized hands with too many fingers on each. Joey counted seven, but thought there may be more. “SPX-39 isn’t good communicating with Tootsie,” it said. Joey assumed the robot’s name was SPX-39. It looked surprised when it saw Joey, shrieked, then collapsed into itself. It fell to the floor with a loud clang looking like nothing more than a fancy coffee can. “What was that?” asked Joey. Joey sat down next to June. Her scent made him feel more comfortable. He knew something was up, but didn’t want to jump to any conclusions before he knew what it was. Joey blinked not comprehending what Vic had said. That couldn’t be right. How could that be right? Eight thousand years in the future? “But, why can’t we go home?” It still made no sense. They couldn’t possibly be eight thousand years in the future. There’s no way. No one could do that. That was comforting. Not only was the Earth a wasteland, like he’d seen in his dream, but everyone was dead. Dead and gone. Never to be seen again. It was all lost. Everything. There were no more Iron Butterfly albums. No more Carlos. No more mom and dad. What had they thought after he left? Did they worry? Did anyone miss him? What happened to them all? “Everyone?” his voice felt weak as he asked. He felt sick. “I think you got that from me,” June said sheepishly. “What?” why was everything so confusing. What was going on? Joey laid on the floor and kicked his legs and tried to force the bench to move out of his way as if it was the bench’s fault he fell down. He didn’t care. He just didn’t care. Why did he press that button? Why? He was so stupid. All he had to do was leave, but no, he had to be a nice guy and look at that machine with Elsa. Joey stood up and started punching the refrigerators. He didn’t care how much it hurt. The pain let him know that he was still alive. “This is your fault!” he screamed and pointed at Vic. “Your father built that machine. Without it, none of us would be here.” Joey lunged at Vic. He extended his hands to grab Vic’s throat. He stopped just a few inches from a very frightened Vic. “Sorry I took so long.” Joey tried to turn his head, but could only move his eyes. June was holding what looked like a gun with a large opening pointed at him. Joey started to cry. Why had he pressed that button? Why? 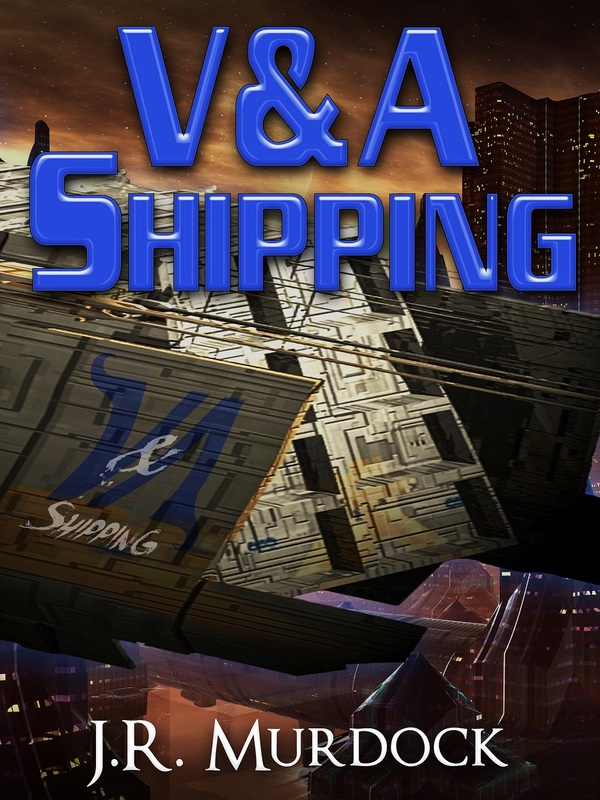 Posted on February 5, 2013, in V&A Shipping and tagged chapter, read along, v&A shipping. Bookmark the permalink. Leave a comment.